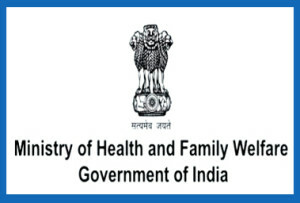 New Delhi: The Union Health Ministry will roll out a massive screening and control programme next month of five common non-communicable diseases (NCDs), which account for over 60 per cent of all mortality in India. In the first phase, the population based screening component will be rolled out in 100 districts in 32 states and UTs with about 1,000 sub-centres undertaking screening before March 31 of this year. The five NCDs include hypertension, diabetes, and cancers of oral cavity, breast and cervix. “As part of the National Health Mission, the Health Ministry is launching a population based prevention, screening and control programme for five common non-communicable diseases, namely hypertension, diabetes, and cancers of oral cavity, breast and cervix,” an official statement said. On February 4 coinciding with World Cancer Day, Health Minister J P Nadda is expected to launch the programme. NCDs which are Cardiovascular Diseases (CVDs) such as heart attacks and stroke, diabetes, chronic respiratory diseases (Chronic Obstructive Pulmonary Diseases and Asthma) and Cancer inter alia account for over 60 per cent of all mortality in India. Of these, nearly 55 per cent are premature mortality. This imposes a financial and social cost on families and the country. According to the World Economic Forum, India stands to lose $ 4.58 trillion (Rs 311.94 trillion between 2012 and 2030 due to NCDs. The training of frontline workers – the ASHA and ANM which will also be initiated while detailed protocols for treatment, referrals and follow-up on these disease conditions will be provided. “In the first phase, the population based screening component will be rolled out in 100 districts in 32 states and UTs with about 1000 sub-centres undertaking screening before March 31 of this year,” the statement added. Under the programme, ASHAs will also be capturing information on major risk factors so that persons at risk could be counselled on leading healthy lifestyles to prevent onset of NCDs. The Health Ministry said that in subsequent phases, Chronic Obstructive Respiratory diseases will be included and the programme will be scaled up to cover other districts. “Support to states will also be provided for community health promotion and prevention efforts, and referral and treatment,” it said.